EaseSure-M is an all natural formula that provides a calming effect on the nervous system in pets. Promote a deep, calmed, restorative sleep. EaseSure-M contains homeo-pathic ingredients specially selected to help cats and dogs with seizures. It can be used with EaseSure-S, an herbal supplement which supports health and balance of the nervous system. I've been using EaseSure-M for about 5 years because it dropped the number of seizures my dog was having from 2 a day to 3 a year within a week after starting her on this remedy. It really works. Belladonna 30C: excited mental states, abnormal increase in sensitivity to stimuli of the senses (hyperaethenia), restless sleep, sudden onset of exhaustion or restlessness. Cuprum matallicum 30C: spasmodic phenomena in both smooth and striated muscles, stupor. Hyoscyamus niger 30C: mania, weakness and nervous agitation, involuntary muscular movements, shivering and tics, insomnia. Kali phosphoricum 8X: extreme physical weakness or emotional exhaustion (prostaration), marked disturbance of the sympathetic nervous system, depressed mood, physical and mental tiredness. Passiflora incarnata 2X: quieting effect on the nervous system, nervous system sedative. Scutellaria lateriflora 2X: nervous sedative, nervous irritation and spasm, nervous weakness. 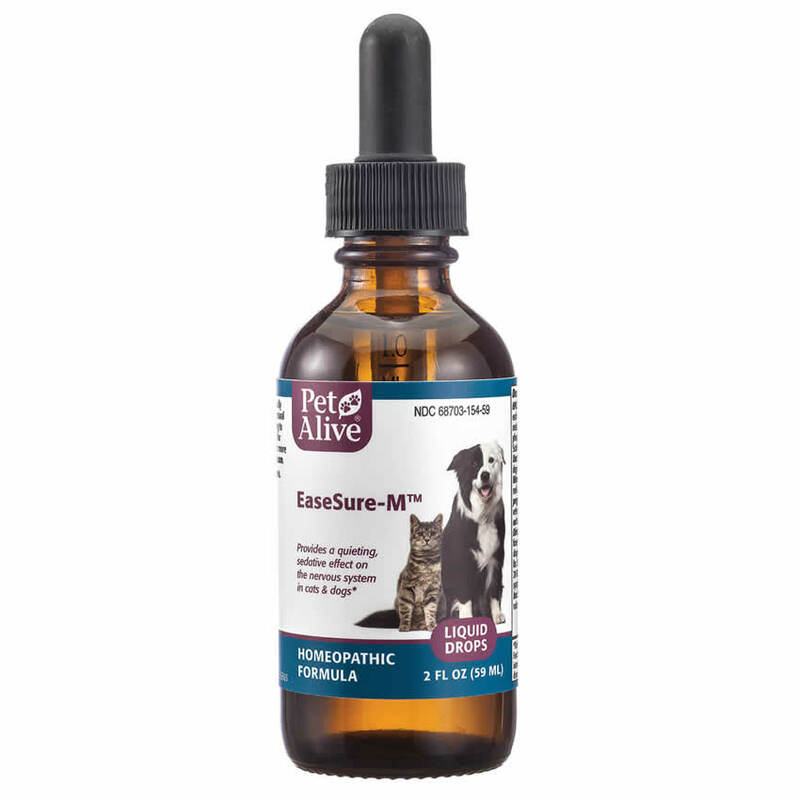 For additional support, EaseSure-M can be used concurrently with EaseSure-S, an herbal supplement by PetAlive. One 2 oz. (60 ml.) 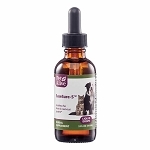 bottle of EaseSure-M will last for approximately 24-40 days, depending on the size and needs of your pet.